The offer in what regards to audio players is very assorted, but iTunes, the player by Apple, has gained many users thanks to the iPhones and iPods by the same company, that require this program to work properly. 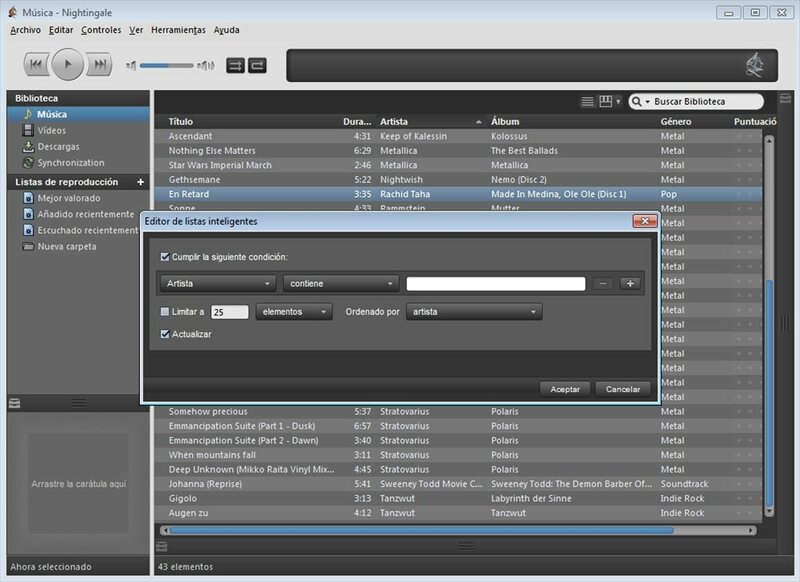 Nightingale is an audio player similar to iTunes. Its interface is identical and, even though it doesn't offer compatibility with these devices, it has practically all the functions of the abovementioned program as well as some new ones. 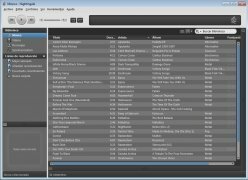 Play your favorite music and even download it by means of the program. Catalog and organize your collection. Download the covers of your albums and songs. All kinds of plug-ins to expand it features, even offering the user the possibility to develop new ones. Works with the main audio formats on the market. Import and export your sound library. Mini player mode to avoid getting in the way while working. 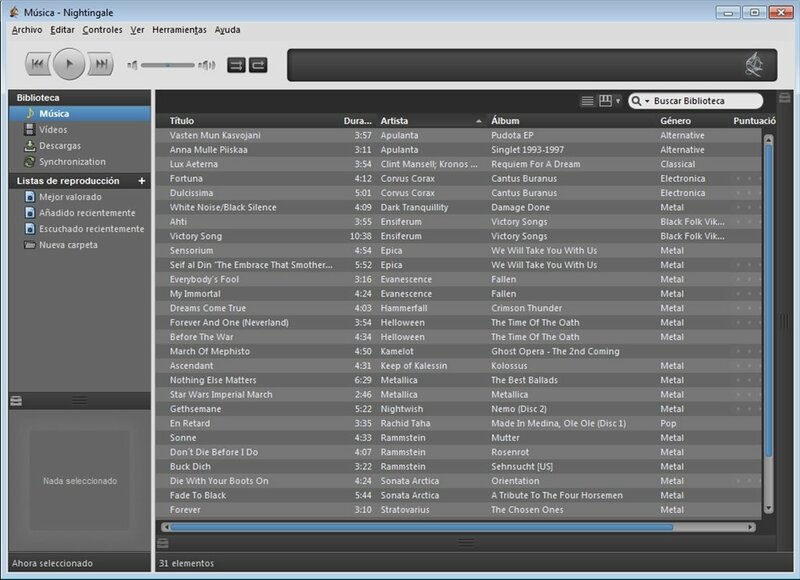 Nightingale is a fork of the Mozilla Songbird music player. They expect to carry on adding new features to the application, including the long sought compatibility with Apple portable devices. Even though it is still in “Preview Release” phase, its performance is optimum, as well as its playback quality. 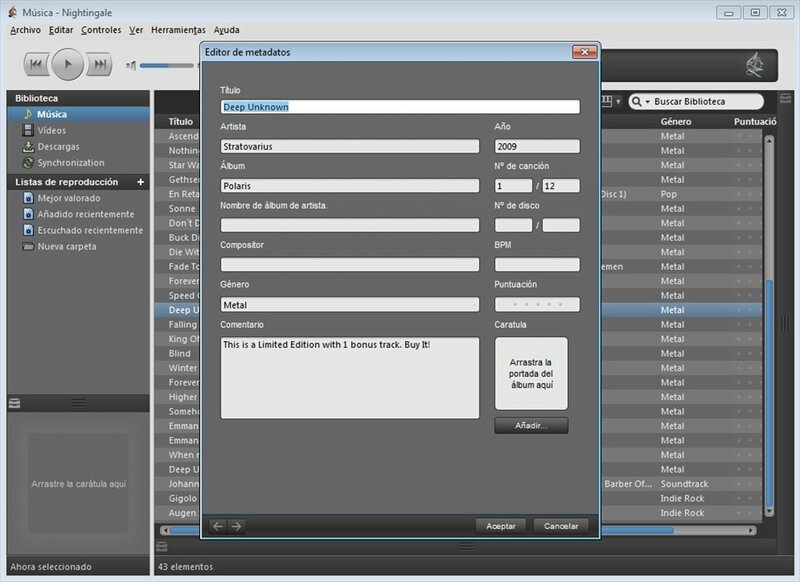 You can create your playlists, import and export the library or edit the metadata of each song. 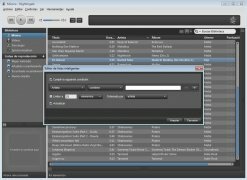 Give Nightingale an opportunity to become the music player and cataloger on your computer. If you don't like it, it definitely won't be because of it features and performance.